Manchester United boss Jose Mourinho has labelled Frank de Boer the 'worst manager in the history of the Premier League' after the Dutchman criticised his handling of young England striker Marcus Rashford. De Boer, who lasted only 77 days as Crystal Palace manager after losing his first four league games in charge with no goals scored, said in an interview on BT Sport that it was "a pity" Mourinho was Rashford's manager because he was not getting enough chances. Rashford, 20, has been on the bench 15 times in the league this season but scored twice to secure a 2-1 victory over Liverpool on Saturday having been named in the starting line-up. Mourinho did not hold back when asked about De Boer's comments during his news conference ahead of Tuesday's Champions League last 16, second leg tie against Sevilla. "I read something, some quote from the worst manager in the history of the Premier League, Frank de Boer saying it's not good for Rashford to have a coach like me," Mourinho said. "If he was coached by Frank he would be coached how to lose because he lost every game." 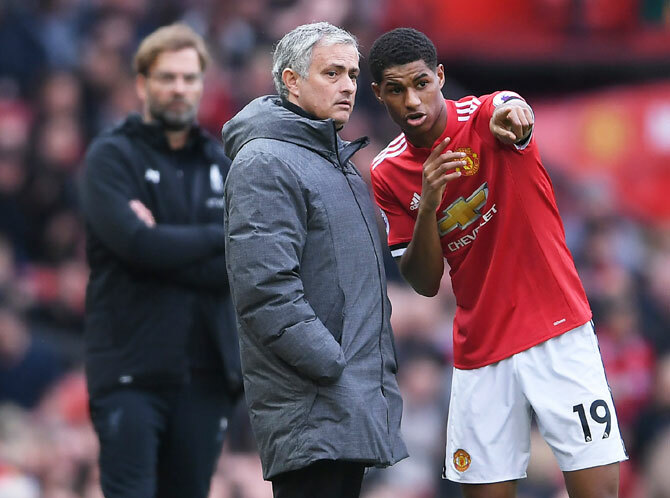 De Boer is not the only pundit to question Mourinho's conservative approach when it comes to Rashford who is vying for a starting place alongside the likes of Romelu Lukaku, Anthony Martial and Alexis Sanchez. But the Portuguese disputes the idea that Rashford is being held back under his charge. "If you go to his numbers and how many games he played with me. I would say he was in the top five with more matches for two seasons," Mourinho said. "Marcus is having these experiences. I'm really happy too. He plays for United many matches, he starts some comes from the bench for others. Does he play every match from the start? No. "Of course not. He's a player we trust. Not many were expecting him to start against Liverpool and he had a good match not just about scoring goals. I'm really happy with Marcus." Rashford could retain his place when United take on Sevilla at Old Trafford with the tie poised at 0-0. Manchester City have the tantalising prospect of claiming the Premier League crown with a home win over rivals Manchester United but, while the fans would relish such a unique moment, Pep Guardiola wants to keep such a scenario out of his mind. City, who have a 16-point lead over their second-placed local foes with eight games remaining, first need to beat Everton at Goodison Park on March 31 if they are to head into the Manchester derby on April 7 with the title within reach. The team's supporters certainly had the idea of rubbing salt into United's wounds with a party at The Etihad as they sang several songs about arch-rivals United and their manager Jose Mourinho during Monday's 2-0 win at StokeCity. But Guardiola was quick to emphasise that the derby comes between the two legs of the Champions League quarter-finals against an opponent to be decided in Friday's draw, with United looking to book their place in the last eight on Tuesday. "I understand for the fans, OK, but the important thing is to be champions. When, where, it doesn't matter," he said referring to their impending English league title success. Skipper Vincent Kompany, who won the Premier League with City in 2012 and 2014, certainly understands the emotion that would be generated by winning the title by beating United. "Everybody on the 'Blue' side of Manchester knows it would be a once-in-a-lifetime opportunity," he said. "We have one more game before United and then we’ll see. (But) steady, it won’t be handed to us. "It's that time of year -- every single win brings you one step closer to your goal," he added. City left for the airport after the Stoke game with a break in the club's owner's homeland awaiting them. "Now we have three weeks off, we go to Abu Dhabi and will come back strong. It is a tough winter for everybody so we are off straight away and we look forward to the weather," said Guardiola, noting the forecast for Manchester next week of rain. "To be champions is tough, it's complicated. Our club does not have a history of a lot of titles. As soon as possible will be better but now we can be relaxed, the players go away with their international teams. It doesn't matter where we win it". Welshman Mark Hughes was firming as the bookmakers' favourite to replace Mauricio Pellegrino as Southampton manager on Tuesday after the Argentine was sacked with the Premier League club hovering a point and a place above the relegation zone. 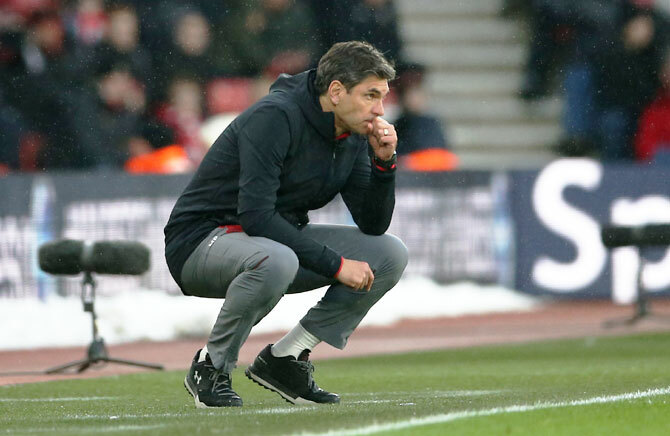 Pellegrino, who took over from Frenchman Claude Puel in June, "parted company" with Southampton on Monday after a 3-0 loss to Newcastle United at the weekend left them with just one win in their last 17 Premier League games. Ex-Watford boss Marco Silva and former West Ham United head coach Slaven Bilic are the other frontrunners in the betting to take over at St Mary's Stadium. It is Hughes, though, who is the early favourite to be handed the task of rescuing the club from their parlous situation only a couple of months after he was fired by StokeCity. Hughes played more than 50 times for Southampton in the late 1990s and his appointment would end a run of four non-British managers after Mauricio Pochettino, Ronald Koeman, Puel and Pellegrino. Hughes guided Stoke to top 10 finishes for three successive seasons from 2013 to 2016 but the club was in the relegation zone when he was sacked after an FA Cup third round defeat at the hands of League Two (fourth tier) Coventry City. Like Hughes, Silva was sacked by a Premier League club in January - in his case Watford - and he has also been linked with a move back home to Portugal to take over at Benfica next season. Silva impressed many with his ultimately fruitless attempts to guide HullCity to Premier League safety last year and he made a good start at Watford this season until an approach from Everton soured his relations with the club. Croat Bilic was dismissed by West Ham last November after more than two years in charge at the East London club, during which he led them to seventh and 11th place finishes in the Premier League. Former Liverpool boss Brendan Rodgers, veteran Martin O'Neill and Koeman, who was named the new Netherlands coach last month, were among the outsiders for the job listed by bookmakers Skybet. Southampton are hoping to announce their new manager before they visit third-tier Wigan Athletic in the FA Cup quarter-finals on Sunday with their next league game not until March 31 when they travel to West Ham. They have won just five league games this season and their 3-2 victory at West Bromwich Albion, who are bottom of the table, in February is their only league win since November. The club sit 17th in the league on 28 points, a point ahead of CrystalPalace and Stoke, with eight games left to play. Southampton, who are the ninth Premier League club to change manager this term, are in their sixth straight season in the top flight and have not finished lower than 14th in that time. Southampton's refusal to sell defender Virgil van Dijk in the close season had disrupted their Premier League campaign which ultimately led to manager Mauricio Pellegrino being sacked, former club captain Matt Le Tissier has said. Southampton dismissed Pellegrino on Monday after just one victory in 17 league games under the manager. Saturday's 3-0 defeat by Newcastle United had left them a place and a point above the relegation zone and sealed the Argentine's fate. 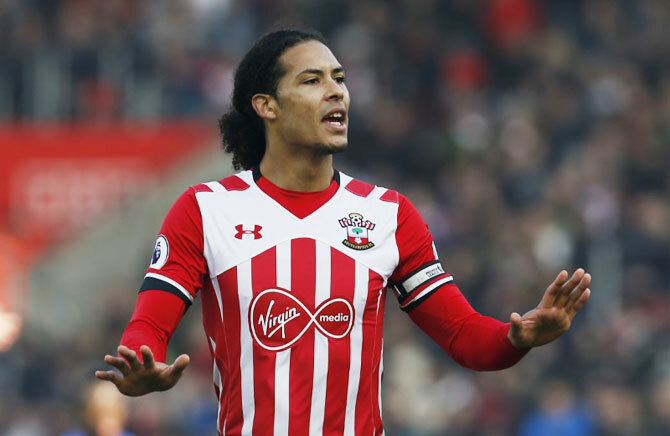 Le Tissier suggested that the turmoil surrounding Dutchman Van Dijk's future amid interest from Liverpool and ManchesterCity had affected the team's performances early in the season. Van Dijk eventually moved to Liverpool in January for 75 million pounds ($104.24 million), according to British media reports. "I think that was probably something that, looking back with hindsight, the club would probably regret, trying to keep him in the summer," said Le Tissier, who scored 209 goals for Southampton during his 16 years at the club. "They tried to do the right thing by the fans, in terms of not selling their best player every season, but sadly that did appear to backfire, and that situation probably didn't help the performances in the first half of the season." Southampton have lost a large number of players to their domestic rivals in the past few years and club chairman Ralph Krueger said earlier in the season that they were keen to end the perception that they were a selling club. 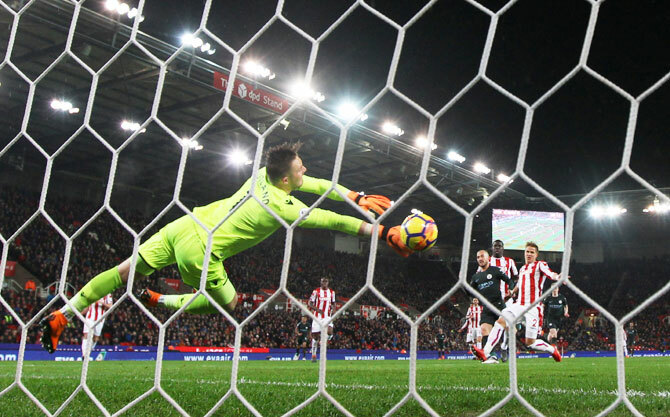 "That's life, that's football, those decisions were made with the best intentions and it didn't turn out right," Le Tissier said. "It's now time to move on, appoint a new manager, and get out of the trouble we are in at the moment." Welshman Mark Hughes was firming as the bookmakers' favourite to replace Mauricio Pellegrino as the south coast club's manager.